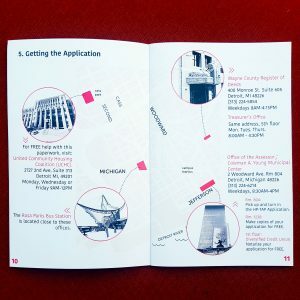 This year, the Tricycle Collective has taken some exciting new steps towards our mission to keep Detroit at home. We believe that information has the ability to change outcomes, and that more resources are necessary to continue the fight against tax foreclosure. Our organization, in partnership with the United Community Housing Coalition, has received support from the University of Michigan Rackham Public Scholarship Grant for the research, development and dissemination of a tax foreclosure outreach and prevention toolkit. This toolkit is intended to sustain and expand capacity for ongoing foreclosure prevention initiatives across the city by creating public resources for community-based outreach. We hope that these efforts will facilitate network-building and knowledge sharing across groups, while equipping community members with the resources and skills they need to become agents for change in foreclosure prevention. The first installment of this toolkit focuses on Detroit’s Homeowner’s Property Tax Assistance Program (HPTAP), commonly referred to as the Poverty Tax Exemption. 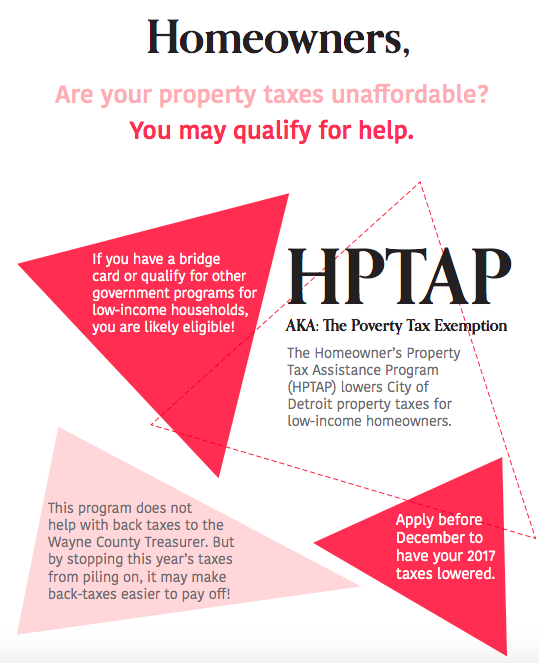 HPTAP lowers City of Detroit property taxes for homeowners living at or near the poverty line. Affordability & Equity. Property taxes disproportionately burden low-income families. This is particularly true in Detroit, where tax rates are staggeringly high and lower-valued properties are overassessed. This program helps improve housing affordability among homeowners on low and fixed incomes, as well as those who have fallen on hard times. Long-term Foreclosure Prevention. Improving affordability provides a long-term strategy for addressing the wave of ongoing tax foreclosures that continue to sweep up Detroit homeowners. For many who struggle to pay their property taxes, this program can provide immediate relief. For the tens of thousands of Detroit homeowners on payment plans with the Wayne County Treasurer, this program provides a pathway towards long-term stability. Low Awareness & Uptake. In 2015, more than 40,000 Detroit homeowners qualified for this program. However, less than 4,000 received the exemption. Need far exceeds utilization. As a result, many are at risk of losing their homes for taxes they should be exempt from paying. Complex Application Procedures. The burdensome HPTAP application itself may serve as a barrier to its use. Currently, there are no individual or group-training resources to overcome this. Develop materials. 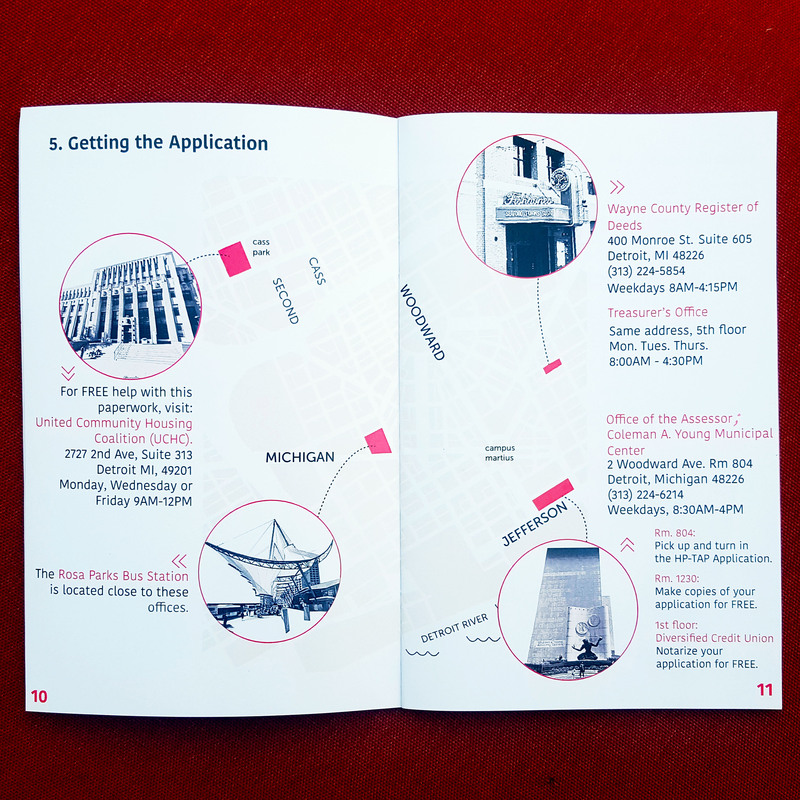 The HPTAP Handbook provides residents with step-by-step instructions for applying. These materials will be available in English and Spanish, in print and video formats. Disseminate resources. HPTAP applications are accepted until December. In order to increase participation this year, we are engaging in targeted outreach efforts to ensure this handbook gets into the hands of qualifying homeowners. Build capacity. 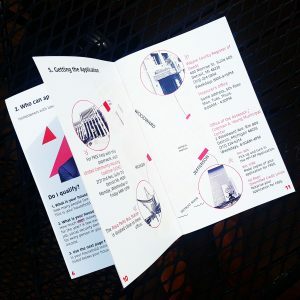 This toolkit not only seeks to provide individual homeowners with resources, but also build capacity for prevention and outreach among groups and residents through trainings. When community members are trained, they become the experts in their neighborhoods. Everyone can play a part in this project. Would you like to help improve access to HPTAP in your community? Reach out! Contact thetricyclecollective@gmail.com to find out how you can get involved. Check out these resources on our new web page!